Resorts World Sentosa continues its celebration of French-Japanese cuisine this year for its successful Art at Curate as it welcomes Chef Ryuta Iizuka of two Michelin-starred Restaurant Ryuzu in Roppongi Tokyo, for the 14th instalment of this acclaimed four hands collaboration series this May. Lauded by Forbes magazine as offering a "French masterpiece", Restaurant Ryuzu has enjoyed the illustrious accolade of retaining its two Michelin stars for seven consecutive years since 2013. Opened in February 2011 tucked away in a quiet alley a block away from the bustling street of Tokyo's Roppongi district in Japan, Chef Iizuka fulfilled his childhood dream of owning his own restaurant at the age of 42. 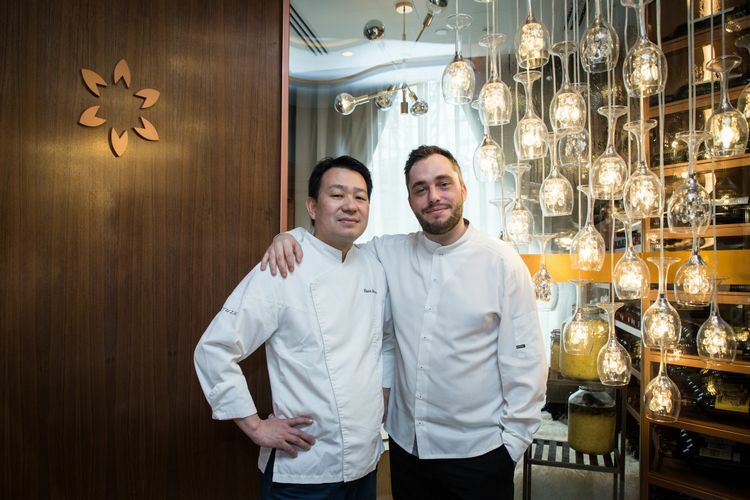 From 10 to 16 May 2019, Chef Iizuka will grace the kitchen of Curate at RWS alongside its resident Chef de Cuisine Benjamin Halat to present a tantalising menu, available for lunch and dinner, comprising refined new creations of both chefs executed with their signature finesse. Art at Curate Series 14 will be held at Curate located at RWS (The Forum, Level 1). The four-course lunch is available at S$138++ per person, and the eight-course dinner is available at S$308++ person. Wine pairing menus are available. Reservations can be made via (65) +65 6577 6688 or curate@rwsentosa.com. Reservations are strictly required.